The 'Little Things' stars have once again joined forces with the four-piece for their latest record. 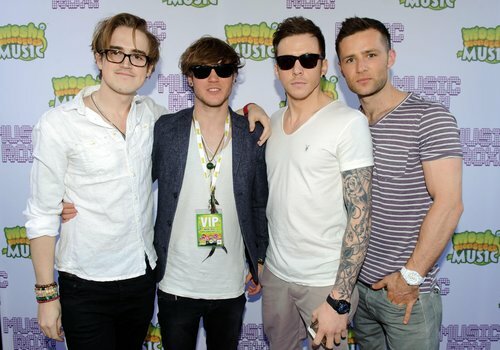 One Direction's new album will feature a track written by McFly, it has been revealed. Danny Jones from the band told Digital Spy that the group have once again teamed up with boyband for their third album. "We obviously love the boys. They're amazing guys," he said. "We've got a new track on their album." Danny also spoke about their relationship with One Direction, having previously worked together on 'Take Me Home'. "One Direction are so similar to us, but they're on a global scale. We had a little smidgen of what they had and we're happy. I'm glad that they came to us because we can give them good music," he added. Danny continued: "They've had such good songs and we're privileged to be a part of that. For us it's not about making money and being there for a moment, for us it's about the musical satisfaction and we can give that to One Direction." One Direction are yet to announce the tracklisting or release date for their new album, but recently launched their big screen movie This Is Us. The boys have previously spoken about a "rockier" sound on their next album.